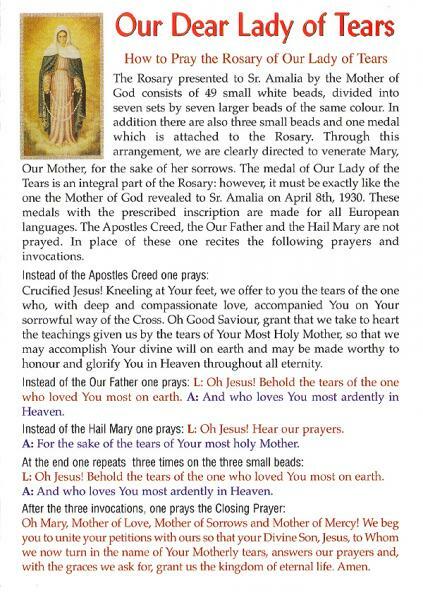 Our Lady of Tears leaflet. Sold in packs of 10. Please click on the image to read the leaflet! Please give to a friend, family member or leave one in a church or hospital or anywhere you feel inspired to promote this devotion.